The below video filled with new, revealing information on the assassination of Martin Luther King, Jr. is a "must watch" for all who want to understand the deeper layers of how our world works. Subscribers to our email list know that we very rarely use the term "must watch." If you choose to explore this fascinating 70-minute interview, you will understand why we feel it is critically important. The video features James Corbett of the Corbett Report interviewing Dr. William Pepper, a renowned lawyer who was a personal friend of Martin Luther King, Jr.. Pepper is the foremost authority on the King assassination. He has had personal contact with nearly every key player in the assassination. Pepper additionally represented the King family in the 1999 civil trial in Memphis which found the various agencies of the U.S. government guilty of conspiring to kill Martin Luther King, Jr. In this interview, Pepper not only shares his rich personal experiences with King, but also how the incredible 1999 court trial was blatantly ignored by the media and has been covered up to this day. I implore you to find the time to click the link below to watch this most profoundly revealing video. If the above link for some reason doesn't work, you can also find the video at this link. Thanks for caring. By educating ourselves and spreading the word, I have no doubt that we are making a difference. Note: If you feel you don't have time to watch the entire interview, take just six minutes to watch this highly revealing video of the 1999 civil trial and how it was covered up by the media. 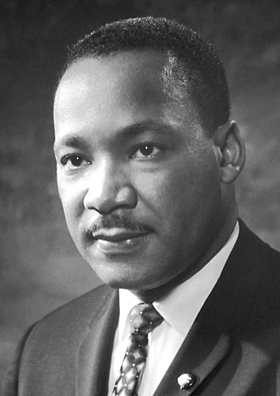 Learn more about the 1999 Memphis civil trial in which various government agencies were found guilty of conspiring to kill Martin Luther King, Jr..
Read two of the most inspiring speeches given by King before his assassination. Read concise summaries of highly inspiring major media reports on the assassinations of Martin Luther King, Jr., John F. Kennedy, and Robert Kennedy. Contact your media and political representatives to inform them of this vital information on US government complicity in Martin Luther King, Jr.'s assassination. Urge them to watch this video interview and bring publicity to this important topic. Share this powerful information on Dr. Martin Luther King Jr.'s assassination with your friends and bookmark this page on key social networking websites using the "Share" icon on this page.